Kevin Kahl Construction is one of the pioneers in the construction business around Portland and adjoining areas. We have been constantly meeting our customer’s expectations since 1990. In the last 27 years we have successfully completed more projects in comparison to other players in the same field. We have a dedicated team of engineers, supervisors and workers who are experienced and well trained to take any challenges thrown by our clients. Our primary objective is to complete the job offered to us on time and within the budget allotted by the customer. We believe-“Happy Customer means Repeat Customer”. We are proud to say that we have more repeat customers than anyone else in the business. This is the kind of trust that we have been able to develop with our esteemed clients. It takes hard work and dedication to excel in this line of business and to get such recommendations is the prize that we cherish. Our services include kitchen and bathroom remodeling, renovation of existing property, basement remodeling and general construction. Kevin Kahl Construction is a One Stop Shop for all your construction and remodeling needs. A kitchen re-modeling might require a new layout of the complete area and the lighting fixtures. It may require some newer equipment along with the existing array which will make a big difference in your cooking experience. The kitchen requires precise geometry in which the equipments are placed around the person who is in charge of cooking. Kitchen layout is prepared ergonomically so that the chef doesn’t require moving around the entire area of the kitchen and all the necessary equipments and tools are really at hand while he/she can concentrate solely in the cooking. Any re-modeling work ranges from simple cosmetic changes like décor, color, ambience and lighting to major changes like the installation of a new updated oven/grill. It changes the way in which a homeowner views his house and exponentially increases the value of the property. It gives a complete new character to the house. It allows the homeowners to personalize their home according to their tastes and preferences. It marks your signature on the house. Bathroom re-modeling consists of more detailed and intricate work keeping in mind the practicality and ease of use than simply replacing the various fittings, fixtures, cabinets, holders etc of your bathroom. 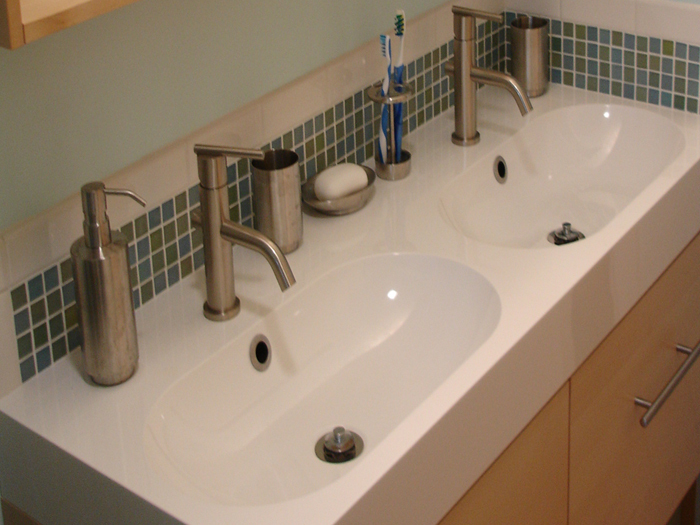 It requires complete redesign of the layout of your bathroom according to your convenience. In short it is a process which will totally change your experience from the moment you step into your bathroom. Re-modeling typically involves a complete fresh and updated design layout of the area which includes change in color, curtains, ambience, equipments, flooring etc. The intricate details would usually require the fitment of existing fixtures or might involve a newer major feature like a whirlpool, sauna, 360 degree shower and many more in the bathroom. The most important thing to remember while re-modeling is to know what you want out of it. This will make the budget for the project as it can range from affordable to outrageous. This will define who you are. Renovations on the other hand are completely different from remodeling. Renovation means updating the existing site as per the newer requirements of the customer or as per law. It ranges from periodic restorations of the property to adding a new section. An addition in the existing property usually involves wood/concrete constructions, new cabinets, doors and windows installations, new electrical layouts and plumbing updates. We at ‘Kevin Kahl Construction’ specialize in taking these matters with stride. Our services are just a phone call away from our customers. “In Budget, On Time. Everytime”.